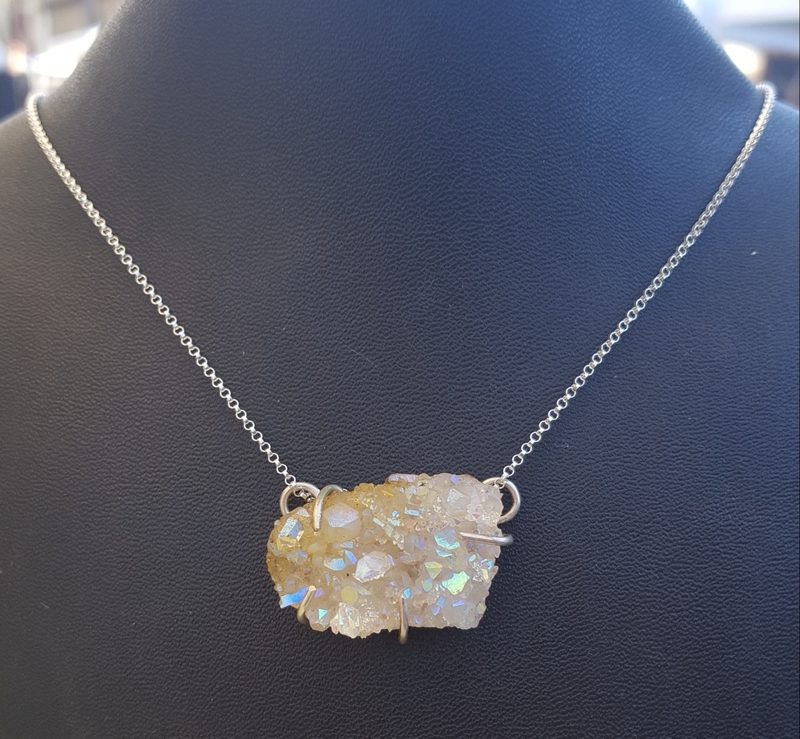 This delicate crystal pendant is an amazing druzy cluster of points! The crystal is clear white, but the rainbow flash comes from a permanent coating of fumed platinum*. It is set with prongs of recycled sterling silver. As you move around--and others move around you, it will play with the light to generate that delicate rainbow flash! It comes with an 18" sterling silver necklace. 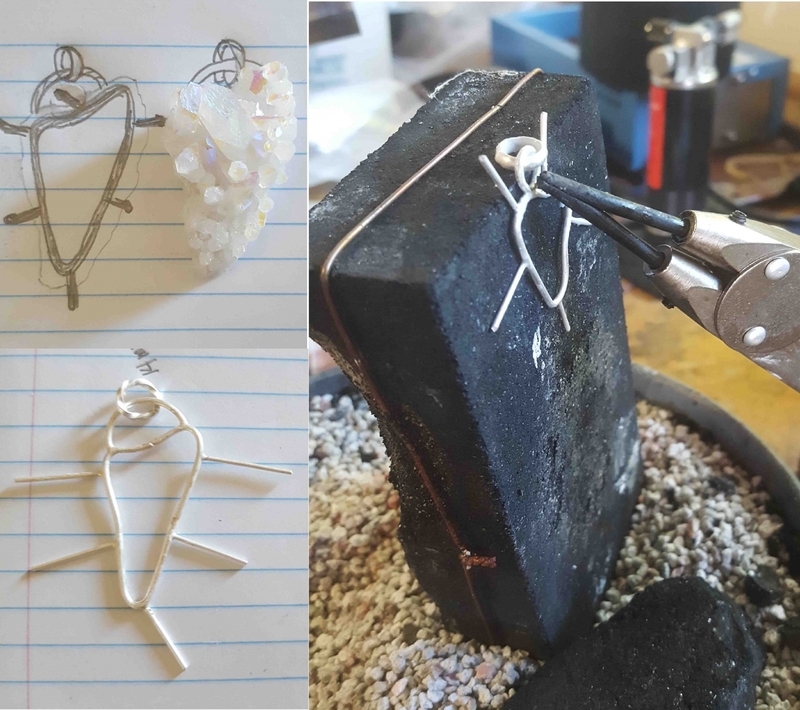 You will receive the exact pendant shown in the photos. If you'd like a smaller or slightly larger crystal, just ask. I have a few others that I'd be happy to show you. 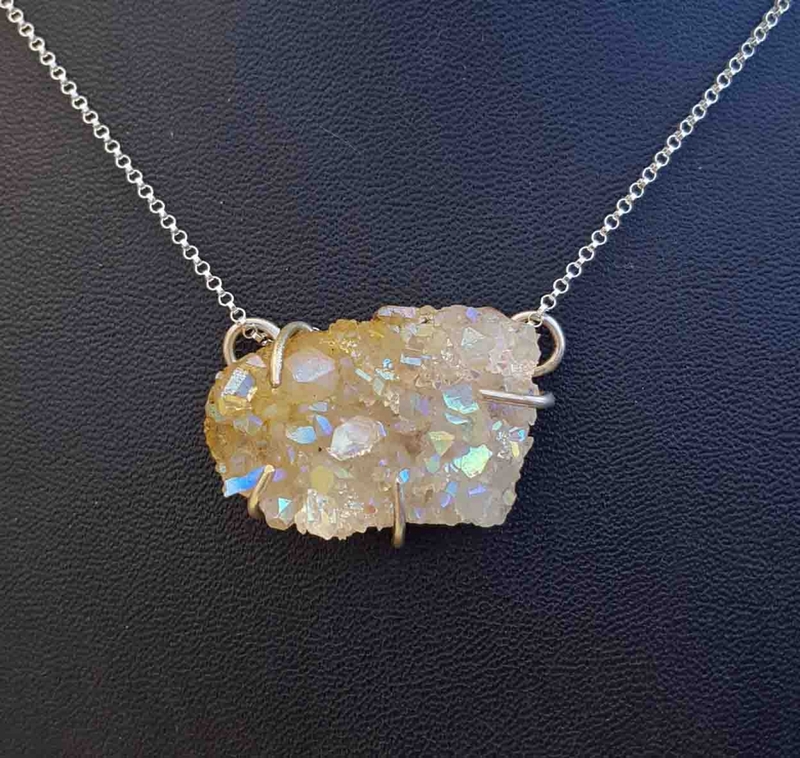 StoneWyre purchased "rough" angel aura, cut, shaped, stabilized, designed and entirely hand set this pendant. This pendant is a lovely golden and white with sparkling rainbow facets. Your monitor may differ in the way it displays color/shade. Please allow for some surface variations; these are just part of Mother Nature's charm. .
*Angel Aura starts with a natural crystal (in this case a white crystal cluster). Using science (and a smidge of alchemy), it is permanently fused with platinum which turns this lovely rainbow when heated to a fume. Metaphysically, angel aura has the attributes of a crystal point, but amplified. 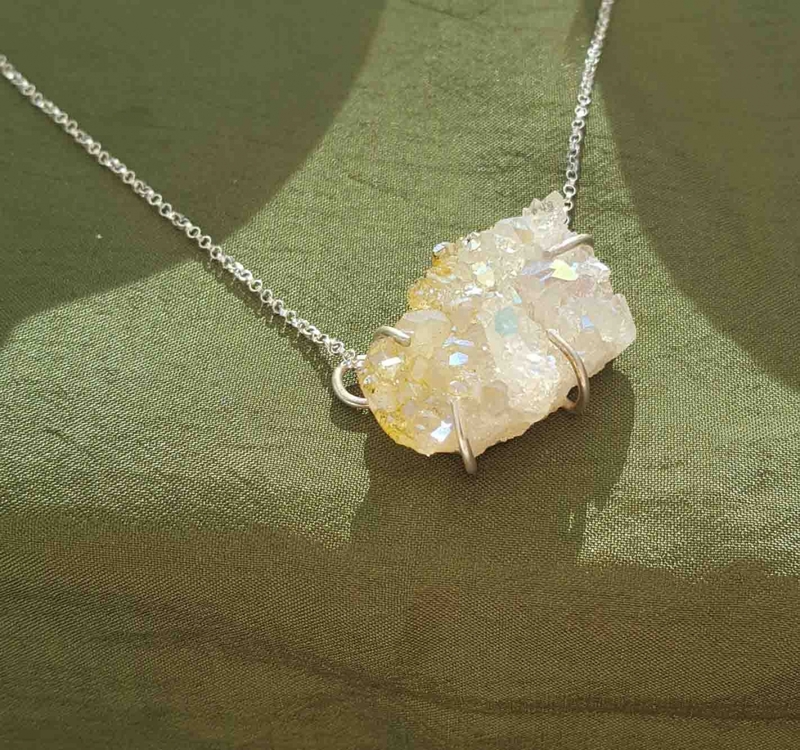 Angel Aura is especially stimulating to the 5th (throat) chakra (which is why it is good as a necklace). It can be used to explore emotions, but still aid in retaining inner peace; it can soothe anger. It is excellent to remove negativity. It is so strong it can be used to activate the energy of other stones. The crystal may also attract wealth. This pendant holds amazing energy. This necklace is shipped in a hand stamped kraft gift box perfect for storing this delicate treasure and for gift giving!